Grand Central Terminal And Penn Station: Will The Beauty and The Beast Ever Get Married? This post is part of a series by Robert Munson called North America’s Train Stations: What Makes Them Sustainable — or Not? See the series introduction for more. 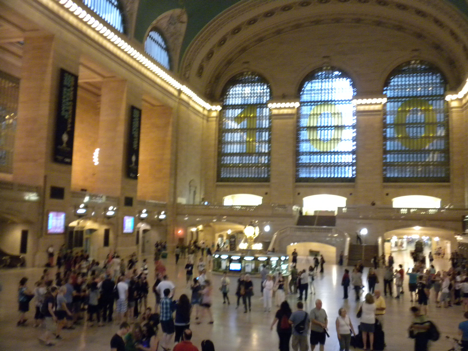 Photo by the author to celebrate GCT’s 100th anniversaryIn today’s tale, Grand Central Terminal is The Beauty. Admired also for her goodness, she touches souls in ways most civic buildings cannot. Many souls, such as this author, find her exquisite. So when our mid-Century trend of destroying beautiful buildings put GCT on the demolition list, the public’s stored-up admiration stopped her assailants. And this inspired a preservation movement across the nation. Better yet, her Beauty also runs deep with a brilliant design that faithfully works 100 years later; distributing people better and seemingly with social graces that other hubs can only wonder how she does it. However, our storyline has a dark side. For the past century, suburban passengers — who prefer her east-side location — have been forced to ride past her to the west-side Penn Station; often adding 30 minutes to the daily commute and congesting Midtown surface traffic further. Who would conspire this denial? As in our tale, it is Beauty’s mean sisters who run the Metropolitan Transportation Authority and the Long Island Railroad. And like Beauty’s sisters, these bureaucracies seemingly are statues who — to have life again and solve this problem — merely had to admit their mistakes. Photo of Penn’s main concourse, taken by the author while waiting for gate posting for his LIRR trainOf course, today’s Penn Station is The Beast. Its ugliness is visceral and personal; defying description. Most who enter its maw sense what true ugliness does; instinctually aware of the cramped quarters and negative energy generated by masses of irritated humans. To manage their discomfort, most learn how to get out as quickly as possible. It is hard to imagine how this guy can become Beauty’s Prince. The fable’s richest lesson tells us that transformation only happens if one changes one’s ways. Today’s real life Beast cannot transform because the governments of New Jersey and New York have self-interested priorities; unconcerned with the collaboration required for the region to benefit from sustainable solutions. Yet, some agent of the public must have the authority to bring transit into the next era.The consequences of not creating suitable authority are immediate and darken the mid-term. As an immediate (and recurring) problem, Midtown has hellish crosstown traffic. Because trains do not connect both stations, too many commuters surface and add unnecessary street congestion. While surface congestion was reduced by making subway trains interconnect six decades ago, that vital lesson still has not been applied to interconnect suburban service. Similarly a result of ineffective regional authority, through-routing New York suburbanites to New Jersey (and vice versa) will benefit commuters and employers. Yet, this mid-term economic collaboration is a pipedream. Analyzing each station objectively gives us reasoned premises from which to shape solutions. Let’s start with Her, the fun one. Also active in the movement to save GCT, the prestige lent by Jackie Kennedy Onassis helped revive the glamor of trains as GCT established a national standard that stations could be great again. After the nation’s Supreme Court decided in favor of GCT in 1977, the preservation movement had an icon and the law to grow its success. More inspiring and exhilarating than the finest 21st Century airports (yet without the technological building advances of the past 80 years), it is hard to understand how GCT touches the human soul while smoothly handling its daily flurry of 1 million people hurriedly going places. As a museum piece, elegant shopping mall and transit’s single most efficient infrastructure piece, GCT’s magic is completed by generating constant fascination; serving as the sixth most visited tourist attraction with 21,600,000 visitors annually. Grand Central sets this standard for every station: to serve as a complete destination, somewhere for tourist and commuter alike to benefit and enjoy travel again. Now celebrating its 100th year, GCT’s excellent design remains an engineering marvel; flexible enough to accommodate ten times more people today than when it was completed at the start of World War One. Track entrance, photo by authorExcellence starts in the basement with gates to the tracks that are welcoming, elegant and functional; all promising a pleasant commute. To accommodate rush hour traffic, platforms are wide; certainly the widest I’ve seen for a large terminus. Since platforms easily become choke-points as ridership grows, this shows GCT’s capacity to adapt. Strolling down the ramp from the dining concourse to lower tracks, photo by authorAlso adding to more fluid flow, ramps move people between the main, dining and lower concourses. The walk is far more spacious and pleasant than the usual cramped escalators… and wondrously less expensive to maintain or make handicap accessible. Great design also helps GCT fulfill retail’s formula of location, location, location. Accommodating a variety of retail shops, GCT is unmatched perhaps anywhere; possibly except Tokyo hubs that have Macys-like department stores. But no where are shopping choices more elegantly arranged than GCT. Ranging from a cool Apple Store to upscale specialty boutiques to even a store for the New York Transit Museum to fascinate the inner subway rider of people like this author. And the shopping tour is not complete without a visit to the vast Grand Central Market (below) that ranks near the top of anyone’s list of gourmet cornucopias. Shifting from destination-making-made-easier to the general genius of Grand Central’s original design, its long-term value must be compared to today’s addition when the government builds stations. 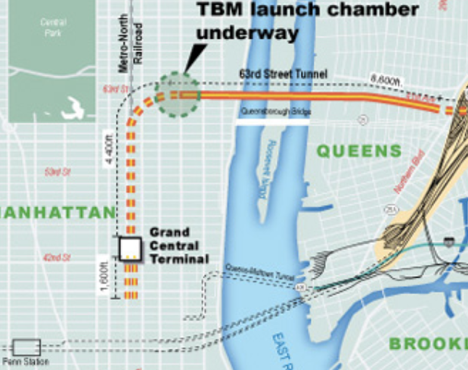 Here is the MTA’s schematic for the East Side Access project. It will take a century to correct the obvious mistake of bringing all LIRR passengers to Penn Station and their surfacing and over-crowding Manhattan’s streets for the last leg of a commute. But, government finally is making progress. This MTA project will bring about 20% of weekday LIRR passengers into GCT. As the immediate area redevelops under new zoning laws, the influx of new pedestrians and taxi-users probably will compound today’s congestion; in some ways, defeating the purpose of the East Side Access… and causing its expense, in the judgment of history, to eventually appear as unproductive. I offer two items as a half-time critique of the East Side Access. First, ridiculous cost-overruns clearly make the MTA inappropriate to direct future improvements. This project to serve the public is starting to look more like a perversion of tax dollars. The 1999 federal budget had the price at $2.2 billion. Functioning as a slow motion lure that promises the public a solution, it took eight long eight years until ground-breaking; creating lots of opportunities for the politically connected to get their piece of the public’s treasury and for bureaucratic battles to work their woe. By the time digging started, the project cost almost tripled to $6.4B and completion was projected to end this year. Now in 2013, completion has been bumped to 2019 and tagged at $8.4B, a 382% increase since politics got involved. With a performance like this, intuition tells me that we have not seen the end of this fiscal travesty. There are acceptable explanations for some cost-overruns. But, there are no excuses as far as the taxpayers’ bottom-line is concerned. If the MTA cannot protect its funding source, the MTA should be replaced with an authority that has a core financial discipline. If there is to be any accountability moving forward to complete the East Side Access or any current MTA project (or any future project such as remaking Penn Station), the accountability process should start this year with inspector generals of New York City, New York State, Connecticut and, possibly, the federal government making an expanded report. Better yet, a joint report will help taxpayers understand what has happened to their money and suggest ways to help restore the public’s trust. It will be curious to see if reports indicate the lack of cooperation between MTA subsidiaries (LIRR and Metro-North) led to these ridiculous cost-over-runs. For example, why did the LIRR platforms have to go 91 feet under Metro-North’s? As a separate item, how are these cost-overruns related to the shared tunnel on 63rd Street ? (See map below.) Didn’t that two decade construction project — starting in 1969 — also end in a fiasco in which it wasn’t useful until the 21st Century when subway connections were made ? From this tunnel fiasco that so far spans half a century, what are the lessons from this overall lack of authority so that taxpayers can be protected in the future? And in the Big Picture, would a through-routing strategy have made a lot of these costs unnecessary and still improve the chances to achieve the objective of reducing congestion? But alas, all this money does not contribute to the strategic solution of through-routing. (Don’t forget, the “marriage” in this piece’s title refers, in part, to the sustainable benefits of through-routing.) Future capacity of Penn and Grand Central can be increased by trains running through it. Yet, the East Side Access project terminates these LIRR trains along with GCT’s 67+ other tracks. The future needs through-routes to contribute to sustainable regional solutions. Drawing courtesy of Foster + Partners prepared for MAS competition and its websiteEasier to grasp than this mind-boggling waste of tax dollars, my second criticism starts more micro. The East Side addition is too far below the standard of GCT’s elegant design; largely resulting from an inability to reconcile differing systems. While more passengers will be able to enjoy GCT (an improvement over Penn’s discomfort), they first get pinched (as in the red pressure points above.) 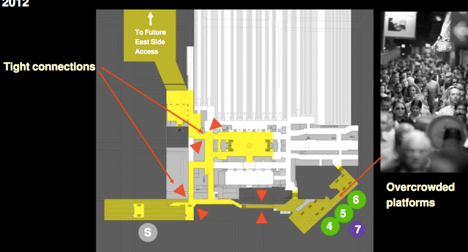 There appears to be a poorly designed exit from the the East Side Access into GCT’s lower level concourse. So, we see yet again the weakness of MTA’s authority upon entering the subway system. Lines 4 and 5 (in the lower right corner) already are the nation’s most over-burdened. The ESA will bring some 12,000 more riders from the LIRR. And if the MTA plans to relieve this congestion by finishing the 2nd Avenue subway one long block away, I remind everyone that the Elevated was torn down and used as scrap in the war against facism… and east-side Manhattan riders have been waiting ever since. Back to belief in today, these problematic transit connections are reviewed starting on page 31 of a study released for GCT’s 100th anniversary, A Bold Vision for Midtown. Prepared by the Municipal Arts Society, MAS has served as the primary civic organization and Guardian Angel throughout Beauty’s life. Opening yet another chapter of great public service, this excellent 65-page publication analyzes GCT. Particular attention is paid to public spaces and mobility within its original surrounds that sprung up in the 1920s. Known as the Terminal City, it remains NYC’s best contribution to the City Beautiful movement. Terminal City also is the original application of the “value capture” concept being talked about by cities today. For a relevant primer on value capture, refer to this 2012 post in “Urbanophile.” And for a longer discussion, see this recent post. Using the rezoning of GCT’s surrounds, “Bold Vision” turns the coming redevelopment into an opportunity to evolve East Midtown. (The booklet also is a bit of a pre-emptive strike to prevent the surrounds from further reducing Beauty’s prominence.) I certainly hope MAS successfully guides and monitors deals between developers and City planning agencies to improve public spaces, streets and sidewalks to cope better with Midtown’s congestion. But, all of these real estate updates beg several questions. First of all, why focus municipal attention on a center that, on a relative basis, works pretty well now? Instead, shouldn’t all these plans of increasing density be preceded by solving the congestion caused when commuters surface to get to their destinations? And given that the MTA will be ridiculously over-budget and decades late in getting the LIRR to stop at GCT, should it be the agency to through-route GCT’s trains? Through-routing makes several contributions to regional sustainability. For GCT to advance in that direction, some lines need to go through. Photo taken by author while riding the Lexington Ave subwayIt is not my intent to challenge MTA’s competence. Per the photo above as an example of many improved efforts to serve the public, MTA is trying. (And relative to Chicagoland’s agencies, MTA gets an “A”.) But, here is the real question: is MTA the correct agent to solve problems economically? Here also follow bigger questions for the sustainable era; most are so far beyond MTA’s purview that a true authority will be needed if the future is to look better than today. But….. As beautiful as GCT is and as positive as the MAS influence on land use agencies and developers seems to be, how does remaking a 21st Century Terminal City fit into a strategy for regional redevelopment? 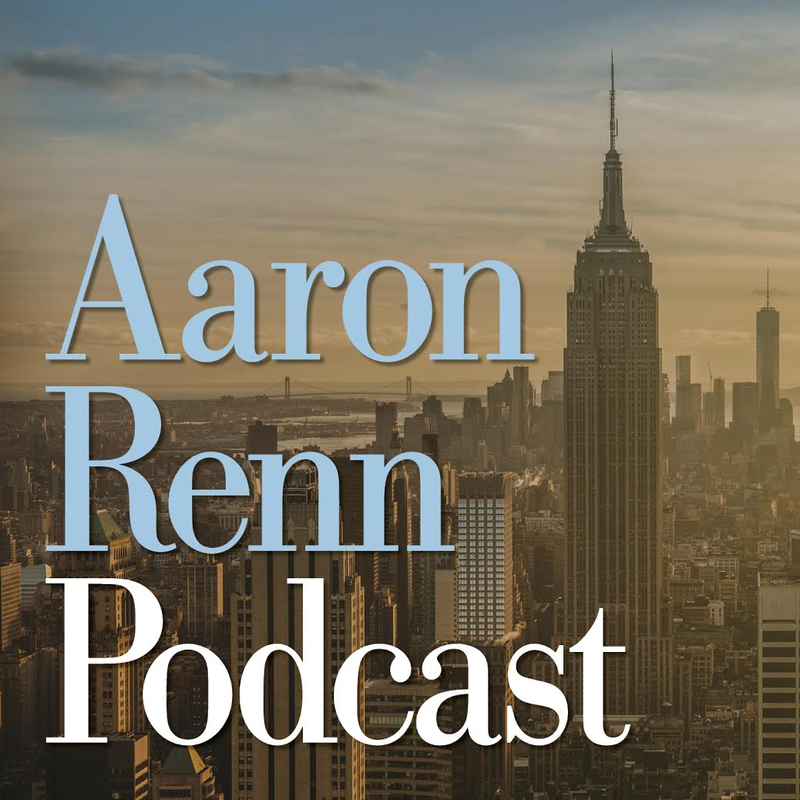 Offering the more objective perspective of someone who lives in the nation’s second densest city, I ask: isn’t Manhattan’s problem really that it has too many people? Don’t Midtown’s insanely high land costs drive even more density that we currently cannot afford infrastructure for? Let’s face the Big Picture. Manhattan bound trains serve its CBDs, but also congest these districts. Terminating commuter lines merely compounds connections to other transit and, thereby, raises the cost for everyone. If our governments cannot follow a de-congestion strategy such as through-routing that European cities solve almost as a matter of course, then how can current agencies ever guide something as complex as the much talked-about goal of economically rational regional redevelopment? 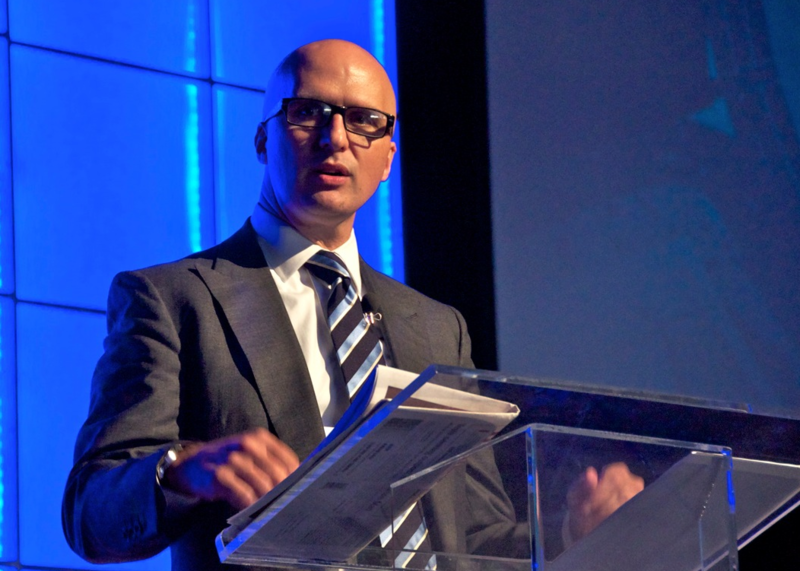 Fundamental to our economic competitiveness, this topic is explored in later articles. But for now, truly sustainable stations — of which GCT could lead the way — must also contribute to systems that guide rational redevelopment. To end where we began our story….. In my personal opinion, The Beauty is doing just fine. She can age more gracefully with better streets and sidewalks. But giving her implants in the form of bigger buildings will just make her sag… or at least cause her to lose her shape… if you don’t mind my metaphor. As for marrying her off to a Beast… we have to believe in miracles. Specifically, New York must try through-routing and other transit connection methods to relieve congestion… or else the marriage fails to improve the household’s economics. These methods are explored in the remake of Penn Station… the next article in this series on how stations can support truly sustainable transit. Most LIRR commuters coming into Grand Central Terminal will walk to their destinations, not take the subway. Office buildings are concentrated between about 30th Street and 59th Street. Today’s GCT stretches from 42nd to 48th–within walking distance of most of eastern Midtown. Offices in central Midtown (like Rockefeller Center) or the west side (like Broadway) are more subway-accessible from Penn Station (which the LIRR will continue to use). Most commuters working downtown (like Wall Street) will do better connecting through Penn Station. From Penn Station, there are three distinct downtown subway lines (each serving different parts of downtown), vs just one line from GCT. Besides, the Lexington Avenue subway’s overcrowding is mostly north of GCT (away from Wall Street). As to why the LIRR platforms are 91 feet below Metro-North’s, keep in mind that the LIRR station has three floors and is over 30 feet high itself, so there is at most about 60 feet separating the top of the LIRR station and the bottom of Metro-North’s. I’m not an engineer or a geologist, but I suspect some of this distance is just for safety to make sure they didn’t accidentally cause the existing GCT to collapse into the new station. Another reason for a 60-foot vertical buffer is because of the existing crosstown subway line at 53rd Street. This line is two-levels high (the 2 tracks are stacked, not side-by-side) and passes some distance below the Metro-North tracks, and the LIRR tracks must pass lower still. A bigger question would be why the LIRR is building new tracks at GCT at all. Why couldn’t the LIRR take all or part of the lower level (about 20 tracks). Even if LIRR took the entire lower level, Metro-North would still have about 40 tracks on the upper level–probably enough to run trains at one-minute headways 24/7. (Compare this to Penn Station which has perhaps 20 tracks in total shared by LIRR, NJT, and Amtrak.) If the LIRR adopted GCT’s Lower Level instead of building new tracks, the project would cost much less and would take less time–it might even be within a year or two of completion. Finally, the pedestrian ramps between the upper and lower levels are not wheelchair accessible–they are too steep. There are signs posted warning people in wheelchairs NOT to use the ramps but to take the elevators instead. I have a correction to a photo caption. The photo captioned “Strolling down the ramp from the dining concourse to lower tracks…” is actually the ramp from the upper level to the lower level. The lower level IS the dining concourse. The lower level tracks themselves are still farther down via other ramps (as shown by the photo captioned “Track entrance…”). 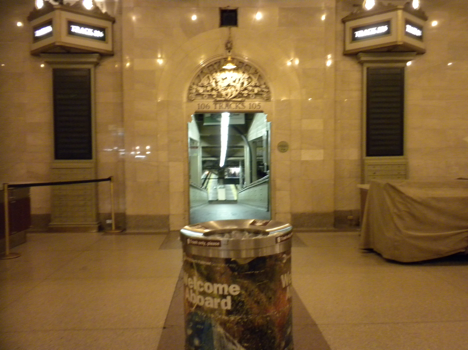 The lower level tracks can also be reached by (100-year-old) elevators from either the upper or lower level. Tom, thanks for the comment. By the 90 feet comment, I think Robert was trying to intimate that it should have connected with the existing tracks and platforms. This is Exhibit A in his contention that one of our biggest problems is agencies that refuse to work together and insist on their own completely separate realms. I accept your additions and corrections and now acknowledge each, paragraph by paragraph. Your first comment about most commuters walking is correct. I remember seeing MTA’s pie chart of what mode GCT users transfer to and walking was easily a majority. But, transit analyses largely build from the assumption that only a slight increase during peak hours has a multiple increase in congestion. This multiple increase has ruined Penn and my town’s Union Station. It may ruin GCT. It remains MTA’s job to fix its subway connections so the increase in commuters does not result in a 7% increase in subway transfers that creates a 21% congestion factor for the Lexington at peak hours. You second paragraph just adds to my astonishment at how New Yorkers wire their brains to figure out the angles and margins on their subway system. As someone who studies this stuff worldwide as my hobby, I tip my hat to Manhattan and wish I could do the same. Your 3rd, 4th and 5th paragraphs is quite a different issue and deserves some explanation from some agent that protects the public (I suggest inspector Generals without knowing New York’s charge to them.) I accept what you say as the explanation for the East Side Access tunnel being deep as a safety measure to coexist with previously built tunnels. But if this were an entire explanation for the ridiculous cost over-runs, I would be very much surprised. Regarding the wheelchair accessibility… I must confess to a careless dig at the horrible costs to transit that emerge from attorneys arguing in a room about what is accessible and forget that there is an affordability factor, too. However I also implied a compliment to GCT’s designers that, in their genius, they could presage and anticipate those legal arguments of the 1980s. Finally as further testament to their original genius and carried forward by the subsequent restorations… I needed to say “a stroll down” the ramp after a leisurely meal. Somehow a stroll “up” did not convey the exquisite ease that Grand Central gives me. I hope the renovation of GCT’s neighbors can better show off the prize of New York. Robert, I’m retired now, but worked for many years in the Wall Street area while commuting from north of the City on Metro-North. My usual commute was to take the Lexington Avenue Express (4 or 5 train) from GCT to Bowling Green station, but I tried many other routes over the years. One route I tried was exiting Metro-North at 125th Street (the stop before GCT) and picking up the Lexington Avenue subway one block away. In theory, picking up the subway at 125th should result in a shorter overall trip because the walk to the subway at 125th is shorter (and MUCH less congested–saving 5 or more minutes), while Metro-North is relatively slow south of 125th (4 miles in 11 minutes). To make a long story short, the southbound Lexington Avenue subways (both locals and expresses) are slow and intensely overcrowded between 125th and 59th during the morning rush. Leaving 59th, things improve (people exit because of two connecting crosstown subway lines plus lots of nearby workplace destinations). Things get better again at 51st (another crosstown subway and more office buildings) and still better at 42nd/Grand Central (two more crosstown subways and lots of offices). Southbound from Grand Central, the express trains are still quite crowded (although less than north of 59th) but the local trains aren’t bad–I could often actually get a seat at rush hour before 14th Street. It is these southbound subway trains that LIRR passengers are most likely to use, trains which have excess capacity even at rush hour (on the local track, anyway). Of the remaining subways leaving GCT, all but one (the Times Square Shuttle) have excess capacity during the morning rush. And the Times Square Shuttle isn’t an issue because (1) the ‘7’ train parallels it (albeit with one intermediate stop) and has room west of GCT and because (2) all subways to which the Shuttle connects are more easily accessed from Penn Station because they stop within one block of Penn Station (or at Penn Station itself). Two other things will reduce future subway crowding at Grand Central. The first segment of the 2nd Avenue Subway is scheduled to open in about 3 years (and is ahead of schedule). This will reduce the number of people boarding the Lexington north of 59th by at least 100,000 per day. And after the LIRR comes to GCT, Metro-North plans to reroute some trains on two lines (Hudson and New Haven) into Penn Station via tracks used today by Amtrak. There may be a way of surmounting this 3rd rail difference. I think Amtrak’s NYC-Albany trains draw electric power from the 3rd rail at Penn Station. (I don’t think those particular locomotives have pantographs to draw power from Amtrak’s overhead wires.) Those trains then end up on Metro-North’s Hudson line, but I don’t know if they draw power from the M-N 3rd rail or if they use diesel power. (They need diesel anyway because the track between Penn Station and M-N territory is not electrified and because the electrification ends 32 miles north of Penn Station.) Even if they don’t draw power from M-N’s 3rd rail, it still means whatever shoe design they use can co-exist with M-N’s 3rd rail. On the other hand, it’s possible that Amtrak has installed Metro-North style 3rd rail in Penn Station on some tracks. If so, that suggests that the 3rd rail problem may not be easily resolved.